Pete Seeger's death has precipitated a storm of grief among most UU's, especially older UU's who remember his music and participation in the great movements of their lives. A lot of UU churches and congregations will be celebrating him this weekend in their services. But some GenXer's and Millennials push back saying that we should be careful not to overdo it. A lot of GenXer's and Millennials are not especially fond of Seeger's style of folk music, don't share the complicated memories of the 60's protest movements, and are generally unemotional about the baby boomer experience. They are repelled by Boomer nostalgia. There is a hashtag that occasionally surfaces: #notjustboomersinthepews. The key to understanding contemporary UUA history and culture (from merger until now) is the marginalization and demobilization of progressive forces between 1968 and 2008. I call it the Nixon-Reagan Reaction. The Rising Multi-Racial Electoral Majority, Economic Justice, and the Spiritual Challenge. break the rightwing grip on power that Reagan had consolidated. When he compares himself to Reagan, that is what he has meant: that he would be the next President who establishes a new electoral configuration that lasts. Obama is now understanding the glue for a multi-racial electoral coalition together will be policies that protect and lift up the poor and the increasingly desperate working class. The only way to keep the GOP from completely defeating him is to mobilize all of his coalition. He is like Lincoln, who fought a war to keep the Union from dissolving over slavery, and ended up understanding that the only way to win the war was to abolish slavery. The hand of a President can be forced by the people in action themselves. A fragment of another poem by Philip Larkin: "Faith Healing"
That nothing cures. . .
- See more at: http://www.poets.org/viewmedia.php/prmMID/16659#sthash.VkdAOqh1.dpuf While the poem is literally about the old home, it is also applies to the church and congregation. "It stays as it was left, shaped to the comfort of the last to go as if to win them back." My good friend, Carolyn Patierno sent me her Martin Luther King sermon from this year. She took as her text a 1954 sermon from Dr. King, delivered to the Dexter Avenue Baptist Church in Montgomery, Alabama. In this sermon, the 25 year old King, posed the question before his congregation as the choice between conformity and creative maladjustment. Nowhere is the tragic tendency to conform more evident than in the church. has inspired some comments and responses. Check all the comments on that thread, but I wanted to respond to these two. I watch cable news, so I am learning about erectile disfunction. No, not electoral disfunction: but erectile disfunction. The cable news watching audience apparently suffers from this disproportionately, at least the guys who watch MSNBC. I have never watched Fox long enough to get the pattern. There are two brands of medications for ED advertised: Cialis and Viagra. And they each have a play a different tune in advertising their product. You saw it: 85 individuals own as much wealth as the combined fortunes of the bottom 50% of the world's population. The goofy thing is that it is both not as bad, and worse, than that. I heard a terrific sermon yesterday at First Unitarian Universalist Congregation of Ann Arbor, delivered by Rev. 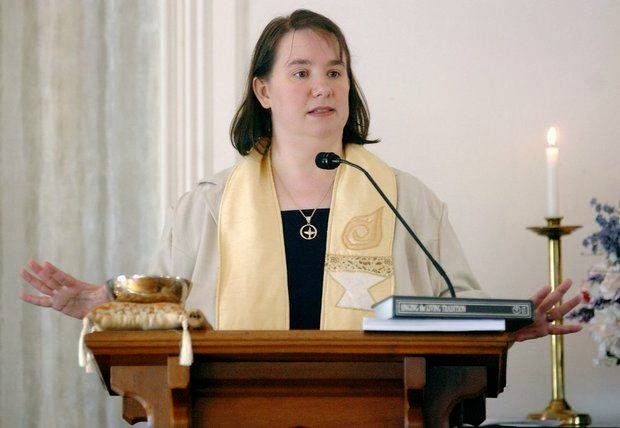 Dr. Cynthia Landrum, who serves the Universalist Unitarian Church of East Liberty. She took as her text the Marge Piercy poem "The Seven of Pentacles" which is #568 in the Singing the Living Tradition. "Spread like the squash plant which overruns the garden." Rev. Cyndi contrasted the squash plant with the Michigan maple tree, as metaphors for horizontal and vertical growth in UU churches. Many churches grow vertically, being passed down from parent to child to grandchild. Some of oldest and some of our smallest churches grow like maple trees. 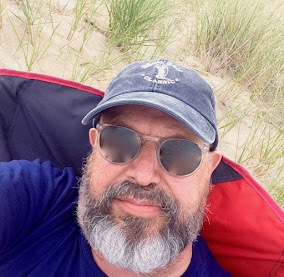 In a recent post I listed several ideas that are prominent among Unitarian Universalists that I think need challenging. One was this, and the my challenge to it in italics. The political polarization in America is a problem that Unitarian Universalism is called to try to bridge, or overcome, or ameliorate. "It is the faith of liberal religion, in all its forms, that world-changing energy is released when men and women [sic] free their minds, and claim them as their own." May this day be one of reflection, inspiration and dedication for all. Let's just stipulate that the future of Unitarian Universalism will be in non-congregational settings. The future of liberal religion is post-congregational, or "Beyond Congregations." But congregations are the source of ministerial authority. In days of yore, congregations themselves ordained ministers; now ministerial authority is bestowed by the fellowshipping process. In practical terms, the Ministerial Fellowship Committee says who is a recognized and legitimate UU minister. But by what authority? By the authority granted to it as a body of the Unitarian Universalist Association of Congregations. In theory, congregations have created a common system for doing what they each used to do on their own. Political Practice and Spirituality are two separate spheres. The liberal critique of orthodoxy was that it valued creeds over deeds. We countered with "deeds, not creeds." Somehow, that turned into a creed itself: a belief that liberal religion had no particular political or social implications. Nice thought, but untrue. Our spirituality is expressed in what we do, how we act, who we see as friends and allies, and who we see as adversaries. Our spirituality is embodied; we are people living in bodies, in a particular time and place, among other people. Our spirituality is how we deal with those people, just as much as how we relate to flowers, plants, stars, the invisible and the infinite. 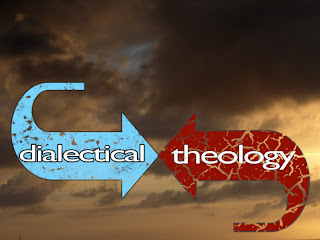 The imbalance in Unitarian Universalism is that we are too political. I am joining a significant number of my colleagues in Raleigh, NC, as the Unitarian Universalist contingent of the Mass Moral March on Saturday, February 8, 2014. Peter Morales has responded to the invitation from the leaders of the North Carolina movement to assemble a UU contingent. His statement is here. The NC NAACP, led by Rev. William Barber has pulled together a powerful coalition of African American organizations and white progressive organizations to oppose the imposition of Republican governance on their state:voting suppression, drastic cuts to the safety net for the poor, draconian restrictions on abortion, and regressive taxation. It is the same GOP agenda that is being implemented in many states, including Michigan where I live, Ohio, Wisconsin, and elsewhere. But in the North Carolina, a vigorous movement has been mobilized to take a stand against it, using some of the protest tactics of the Civil Rights Movement: repeated mass marches, and civil disobedience. The demobilization of reform forces is the historical context in which we have to look at UU history since 1961. By "demobilization of reform forces," I mean the Nixon-Reagan Thermidor, the mobilization of a conservative counter-movement to all the reformist movements which surfaced in the 50's and 60's. To tell the story of Unitarian Universalism since merger is to tell the story of the many UU strategies for resisting, escaping, accommodating, subverting and ignoring this counter-revolution. It is the most useful lens through which to view this now 50+ year history, just as we now view the story of Unitarianism in the antebellum period through the lens of abolition and slavery. 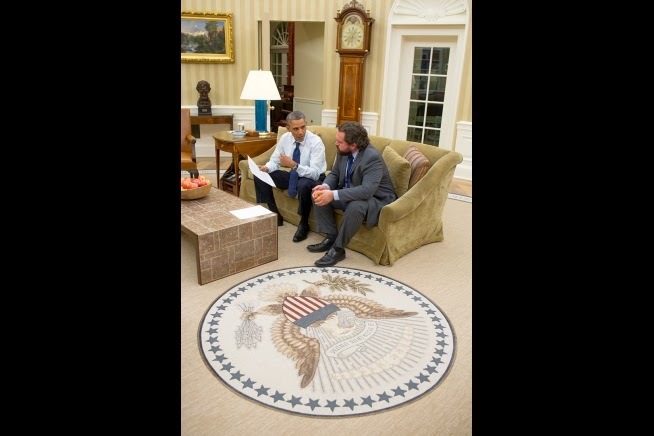 When we [were] new to the ministry some said we were too political and not "spiritual enough." I am not sure each of the "we"s were that Clyde is talking to, but I read the first one as Clyde himself, and maybe me, (although I came in later than Clyde) and the second one as all of us in the UU movement. But I am sure that he would be correct in including me, Tom, in the "some said". I was one of those who was convinced that the UU's were terribly weakened by too much political activism. Not enough spirituality. Too much anger. Too much blaming "the other" for everything that was wrong with the world. All because we had no theology of evil that recognized that it existed in us, as well as others. All because we had no faith, except faith in our own works. My tiny campus-town back in Maine has a transient population of young people and a well-educated, stable group who stay in the frigid North for what can only be called spiritual reasons (it certainly isn't the money or the growth potential). It is a warm-hearted place to both raise a family and to retire. When I ask, I'm told they want that covenant of extended family, as Louise says, those instant families, Sunday dinners and warm memories for their kids. Throw in social witness and some after-school homework, etc, and maybe we can forget some of the old-school metrics of success. I've seen enough growth-for-growth's sake. Tell me more, before I return, I will listen and learn. The image above was on a UU Holiday card sent out en masse through social media. It has come under a lot of criticism for being classist and ableist. Much commenting has gone on, including the escalation to the argument about who is too easily offended and who is being defensive. I don't mean without energy, because that is clearly not so. There's lots of hustle and bustle, meetings, trainings and conferences. Most local congregations are busy places, maybe even too busy. And, I am sure that there some exhausted people out there: staff people, over-committed volunteers, religious professionals. No, I mean exhausted, as a seam of coal might be exhausted in a mining operation. No more coal there to profitably dig. Or exhausted, like a topic of conversation; nothing more to be said on that particular subject. Politically, in the short term, it is high noon. Today, as I write, the Senate is considering the most basic measure of anti-recessionary stimulus, and simple human decency: the extension of unemployment benefits to the long-term unemployed. If it can pass the Senate, its prospects are still doubtful in the House. National policy is being fought way over in conservative territory (should we have unemployment insurance?) because of the power of a very conservative faction of the Republican Party. This is what we see every day: government shutdowns, abortion restrictions, voter disenfranchisement, gerrymandering, the Koch brothers and the superwealthy creating political power whole cloth with money. Everyday, somewhere it is a showdown. 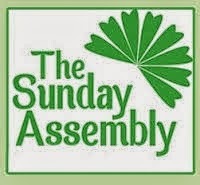 "The continuing saga of the Sunday Assemblies"
Really, people should talk to Unitarian Universalists before they try to do what we have been trying to do for decades. We might have something to teach, you know. On the other hand, there are things that we UU's can learn from their experiments. The Sunday Assemblies growth strategy is a franchise model. Local leaders apply to become part of the Sunday Assemblies, get the rights to use the name and the materials, and are expected to use them. This is quite different than Unitarian Universalists which used a locally autonomous affiliation model, where each new local group is free to shape itself however it wishes, as long as it has a democratic structure and conducts regular "religious services." Within those very broad guidelines, a new UU group can choose its own liturgy, theological perspective, and style.